At Inner City Winemakers until May 13th. A vibrant palette describes the garden in all its glory at Inner City Winemakers. Catherine Bargwanna covers canvases in oil with a purpose that is unique. Great chunky slabs of colour form random objects. 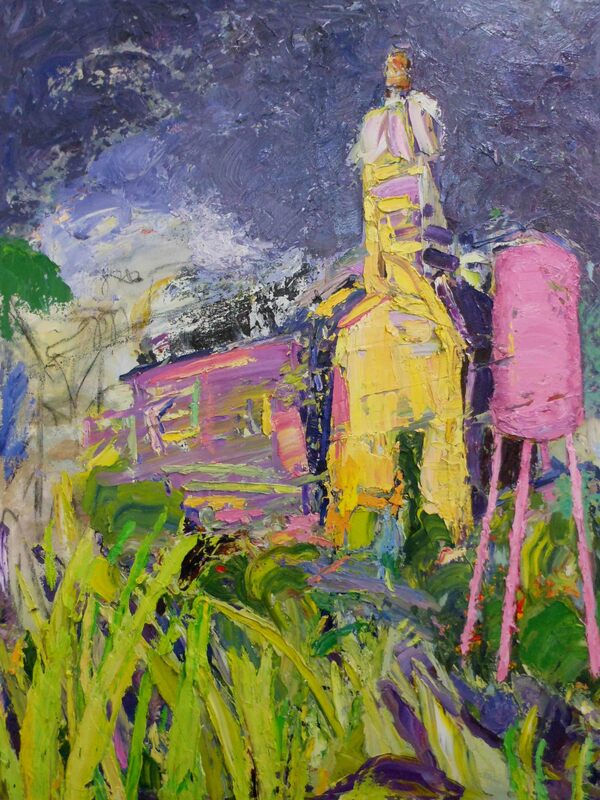 Pinks juxtaposed against yellows, purple moody skies and energetic greens all feature strongly in this lively patch. Teamed with these impasto paintings is a washy series still however utilising the vivacious sense of colour. Allowing paint liberty to caress the opulent contours and profiles imparts a sense of liveliness and joy. Prompt, swift brush marks define this artists practice allowing a spontaneous artwork to evolve with clean, fresh colour. Dragan’s Garden beckons with its vigour. These works are on exhibit until 13th May. Your review is so positive – makes the works so enticing and even yummy with their richness. Thanks for the feedback. There is certainly richness to this work!